His father, a drug dealer, had left him and his mother when he was only three years old. 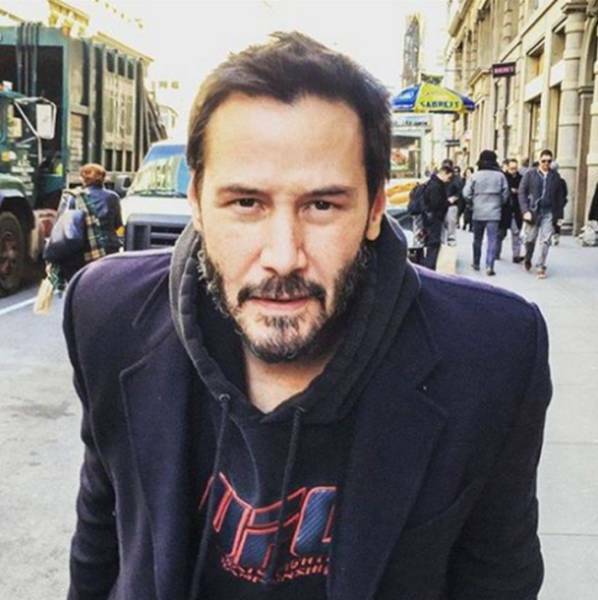 His girlfriend, Jennifer Syme, had given birth to Keanu’s still-born daughter after only 8 months of pregnancy. Approximately one year later, Jennifer was involved in a car crash that took her life. His sister battled Leukemia for over a decade. Despite his massive success, he is no stranger to the heartaches that life can present. He even set up a charity to help further cancer research, without attaching his name it. Per a MoviePilot article “A family friend builds movie sets, doesn’t design, is one of the poor dudes that just builds. 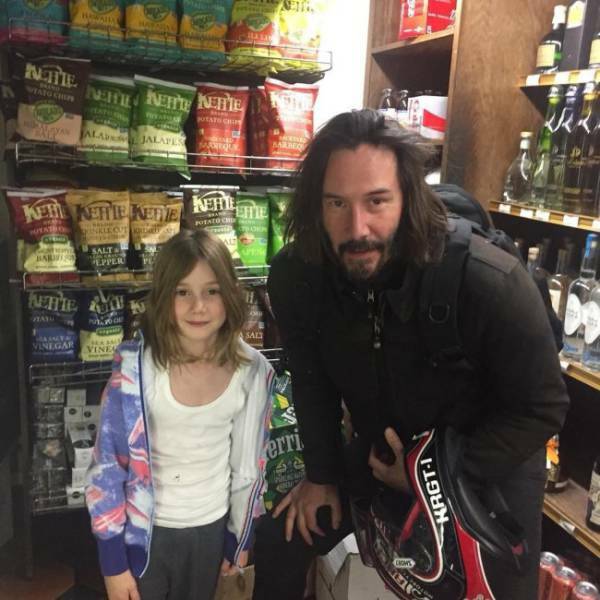 Anyways he worked on the set for The Matrix and Keanu heard about the family trouble he was having and gave him a $20,000 Christmas bonus to help him out. 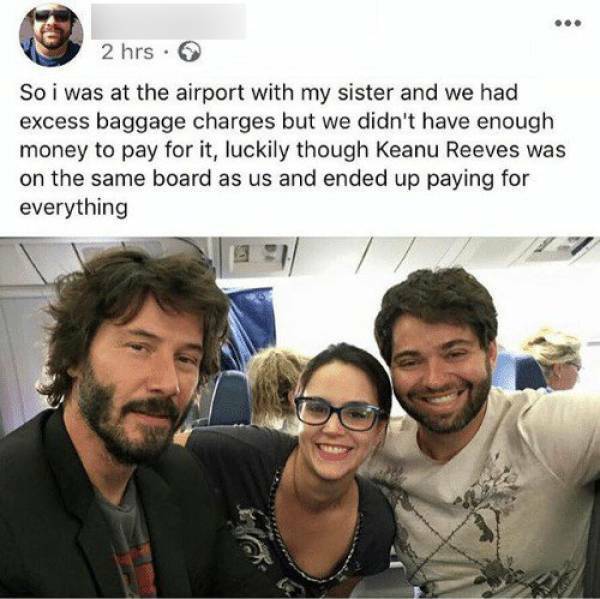 Despite being one of the most sought-after actors in the late 90s and early 2000s, Keanu happily took pay cuts in order for films to be able to be made. 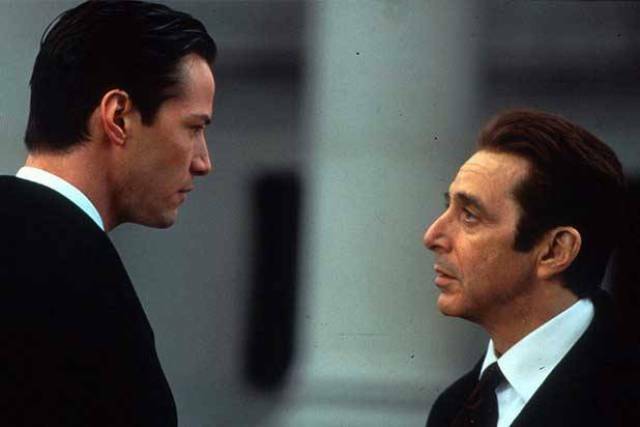 Movies such as The Devil’s Advocate and The Replacements were going through budgeting issues thanks to the big money that Al Pacino and Gene Hackman required. Keanu reportedly was happy to take a pay cut in order to allow the films to be shot. When it comes to making a movie, it takes a lot of people doing little things right in order to garner any sort of success. These people don’t get the same recognition that the big time players (actors, directors, etc) do. 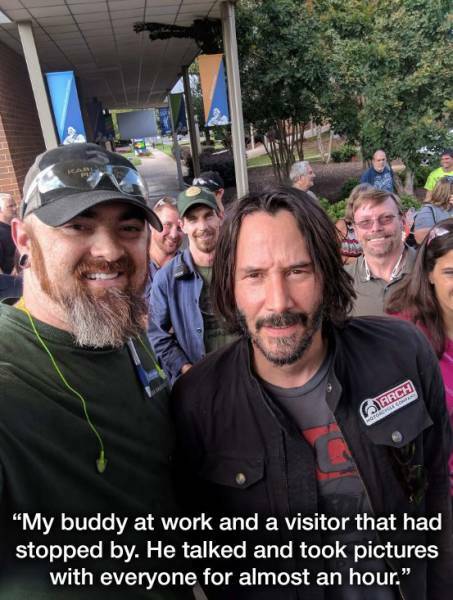 Keanu recognizes that, and he does what he can to help. Following the major success of ‘The Matrix’ trilogy, he gave away over half (about $80 million) of his earned profits to the special effects and makeup crew. After wrapping up filming on The Matrix series, Keanu had purchased a Harley Davidson Motorcycle for each one of his stuntmen. 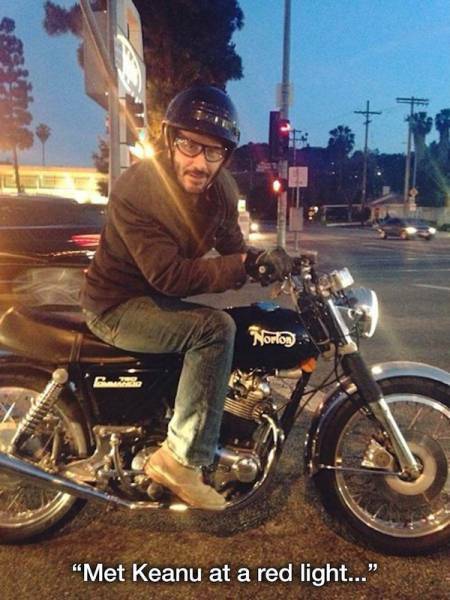 It has been well-documented that Keanu Reeves does not live his life in a flashy manner. 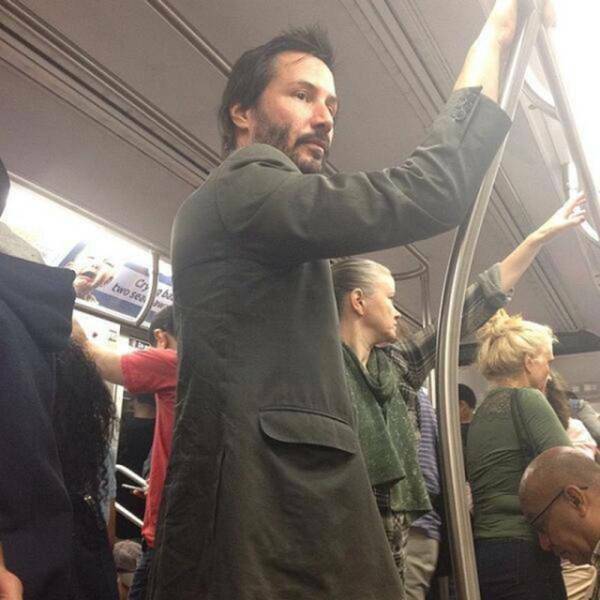 In fact, despite accumulating a net worth of around $350,000,000, he still regularly rides the subway. When it comes to preparing for a role, Keanu does not mess around. Take John Wick 2 for example. When it came time for him to get ready for this movie, he took zero breaks. There was no easy way. He spent 10 weeks training 4-5 times a week with gun and shooting experts. He learned every trick he could in order to improve his quick draw and gun handling skills. He also refamiliarized himself with car stunts and hand-to-hand combat. J.J Perry, a stunt coordinator for the film said of Keanu: “I’ve been doing this for a long time and Keanu is one of the hardest-working guys I’ve ever worked with.” That’s dedication. During a live interview on a Japanese network, one of Reeves’ idols, Sonny Chiba, was walked onto the set mid-interview to surprise Reeves. 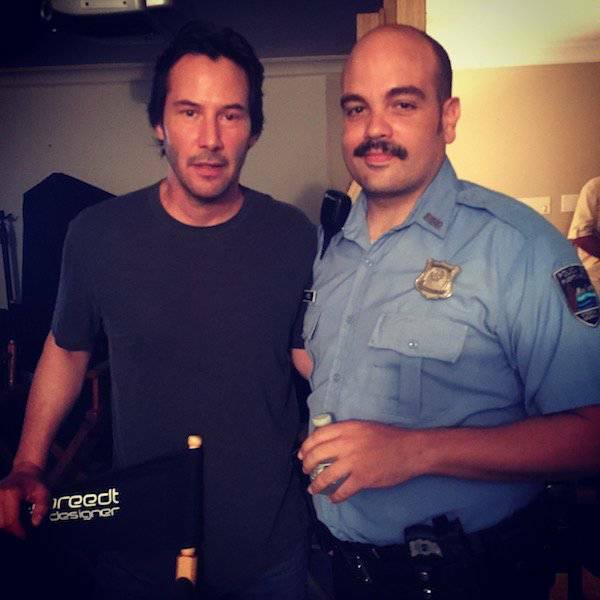 Instead of keeping a professional demeanor, Keanu completely fangirled out for the entire time. You can watch the entire thing right here. Despite his success in Hollywood, Keane regularly attended local hockey games. “For a long time in Los Angeles when I first moved there, when I was 20 years old, it was such a new world and so I saw some guys at a gas station once who had hockey equipment in their car, and I asked them what they were doing, and they said they were playing street hockey, so I asked them if I could play. Teaming up with his longtime friend and business partner Gard Hollinger, Reeves co-founded Arch Motorcycle. 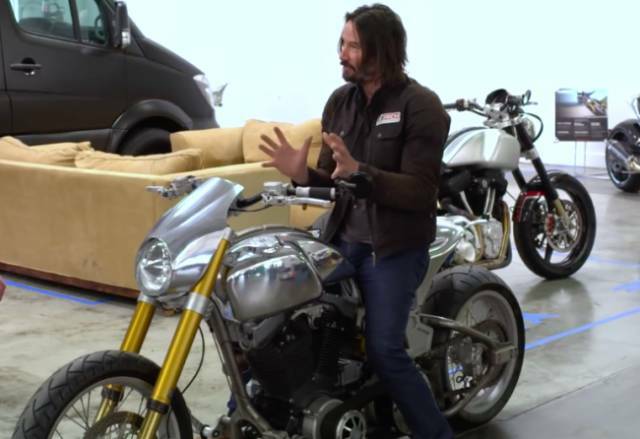 Keanu is a well-known motorcycle enthusiast, so when he was wildly impressed with a custom bike Hollinger built for him back in 2007, to two partnered up. The bike, known as the KRGT-1, is designed specifically for each customer in Arch’s workshop, and start at around $78,000. Let’s not forget his constantly positive interactions with fans. 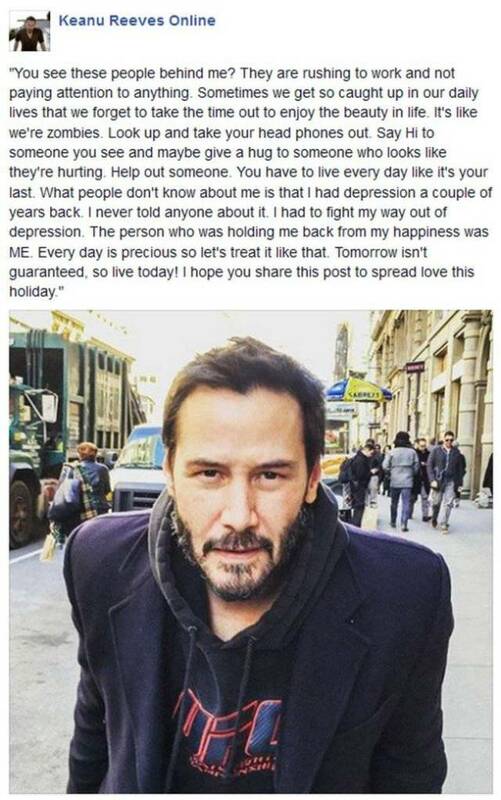 Thank you for being you, Keanu.